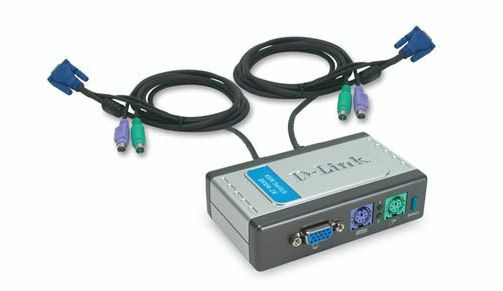 The D-Link DKVM-2K is a 2-port PS/2 based KVM switch for controlling two computers using a single monitor, keyboard, and mouse. 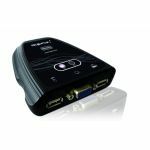 The DKVM-2K minimizes clutter on your desktop with its compact design and convenient built-in cables. 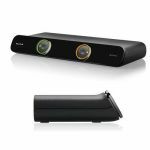 Ready to work right out of the box, the DKVM-2K requires no drivers, extra power supplies, or accessories and is compatible with all Windows Operating Systems. The DKVM-2K is simple to use with features such as: at a glance LED indicators for computer status, hot keys and push buttons for switching between computers, and an autoscan mode for automatically detecting computers connected to the switch. 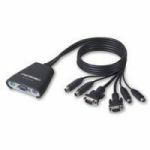 You get added flexibility with the DKVM-2K's hotplug capability add or disconnect computers simply by unplugging the cables without having to power down your computers! 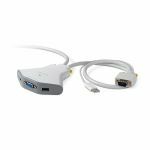 Versatile, portable, and convenient, the D-Link DKVM-2K can be easily integrated into your existing desktop environment at home or at the office.